Blackpool Tower was copied from the Eiffel Tower in Paris and was originally going to be called the Blackpool Eiffel Tower. The height to the top of the flagpole is 518 feet 9 inches and weighs 2586 tons. More than 5 million bricks, 2,500 tons of steel and 93 tons of cast steel were used in the Tower's construction. Blackpool Tower is lit by 10,000 bulbs during the resort's illuminations, which makes it the central attraction. 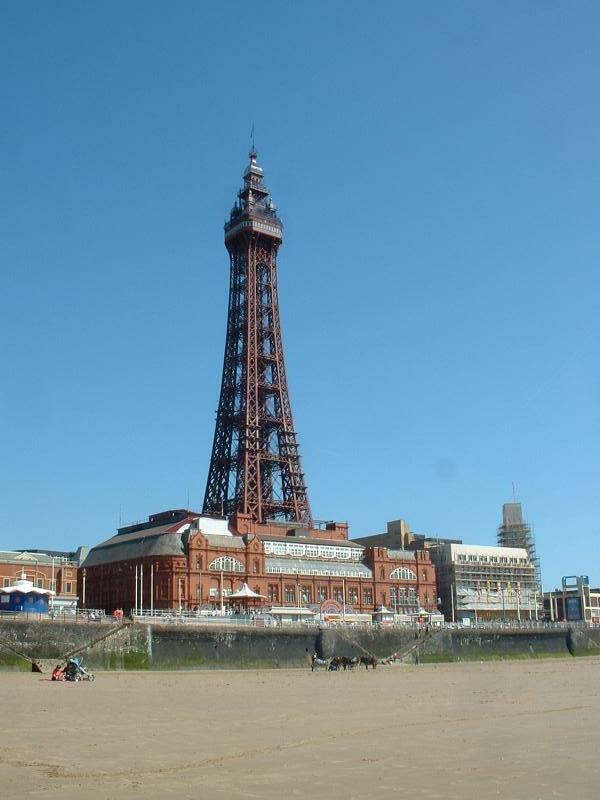 Blackpool Tower opened on Monday 14 May, 1894. The tower is now home to the International Tower Circus.